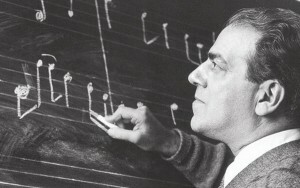 From the lower middle class childhood to worldwide acclaim Heitor Villa-Lobos: Born on March 5, 1887 – November 17, 1959) was a Brazilian composer, described as “the single most significant creative figure in 20th-century Brazilian art music”. Villa-Lobos has become the best-known and most significant Latin American composer to date. A prolific composer, he wrote numerous orchestral, chamber, instrumental and vocal works, totaling over 2000 works by his death in 1959. His music was influenced by both Brazilian folk music and by stylistic elements from the European classical tradition, as exemplified by his Bachianas Brasileiras (Brazilian Bachiana-pieces). His preludes for guitar, written in 1940, are important works in the guitar repertory, and were inspired by Andrés Segovia. Heitor Villa-Lobos was born in Rio de Janeiro. His father, Raul, was a civil servant, an educated man of Spanish extraction, a librarian, and an amateur astronomer and musician. In Villa-Lobos’s early childhood, Brazil underwent a period of social revolution and modernization, abolishing slavery in 1888 and overthrowing the Empire of Brazil in 1889. The changes in Brazil were reflected in its musical life: previously European music had been the dominant influence, and the courses at the Conservatório de Música were grounded in traditional counterpoint and harmony. Villa-Lobos underwent very little of this formal training. After a few abortive harmony lessons, he learnt music by illicit observation from the top of the stairs of the regular musical evenings at his house arranged by his father. He learned to play cello, guitar and clarinet. When his father died suddenly in 1899 he earned a living for his family by playing in cinema and theater orchestras in Rio. Brazilian musical culture. Serious doubt has been cast on some of Villa-Lobos’s tales of the decade or so he spent on these expeditions, and about his capture and near escape from cannibals, with some believing them to be fabrications or wildly embellished romanticism. After this period, he gave up any idea of conventional training and instead absorbed the musical influences of Brazil’s indigenous cultures, themselves based on Portuguese and African, as well as American Indian elements. His earliest compositions were the result of improvisations on the guitar from this period. Villa-Lobos played with many local Brazilian street-music bands; he was also influenced by the cinema and Ernesto Nazareth’s improvised tangos and polkas. For a time Villa-Lobos became a cellist in a Rio opera company, and his early compositions include attempts at Grand Opera. Encouraged by Arthur Napoleão, a pianist and music publisher, he decided to compose seriously. In 1912, Villa-Lobos married the pianist Lucília Guimarães, ended his travels, and began his career as a serious musician. His music began to be published in 1913. He introduced some of his compositions in a series of occasional chamber concerts (later also orchestral concerts) from 1915–1921, mainly in Rio de Janeiro’s Salão Nobre do Jornal do Comércio. The music presented at these concerts shows his coming to terms with the conflicting elements in his experience, and overcoming a crisis of identity, as to whether European or Brazilian music would dominate his style. This was decided by 1916, the year in which he composed the symphonic poems Amazonas and Uirapurú (although Amazonas was not performed until 1929, and Uirapurú was first performed in 1935). These works drew from native Brazilian legends and the use of “primitive” folk material. European influences did still inspire Villa-Lobos. In 1917 Sergei Diaghilev made an impact on tour in Brazil with his Ballets Russes. That year Villa-Lobos also met the French composer Darius Milhaud, who was in Rio as secretary to Paul Claudel at the French Legation. Milhaud brought the music of Claude Debussy, Erik Satie, and possibly Igor Stravinsky; in return Villa-Lobos introduced Milhaud to Brazilian street music. In 1918, he also met the pianist Arthur Rubinstein, who became a lifelong friend and champion; this meeting prompted Villa-Lobos to write more piano music.